Fabric: 80% Cotton, 15% Linen, 5% Elastane. A loose a free flowing style to keep you cool this season. 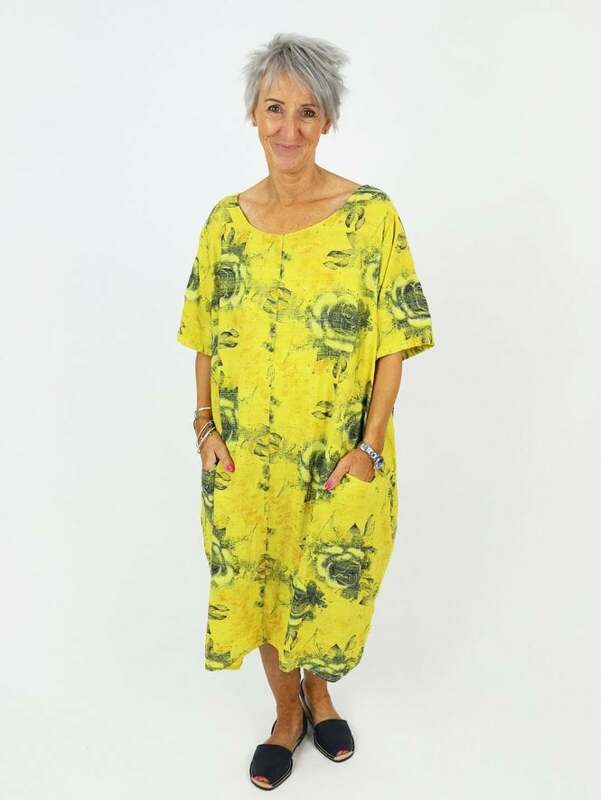 The Made in Italy SantAndrea Tunic Dress is crafter from lightweight and comfortable fabric and features elbow length sleeves, a wide round neckline and two pockets to the front. We love this all over floral print for wearing simply as is or with leggings.